Lip balm is a common item that is found in a variety of retail settings from high-end boutiques to gas station counters. Lip balm is traditionally made from petroleum jelly mixed with wax to increase the products stiffness. However, many modern lip balm makes do not use petroleum based products. While lip balms will have a positive impact on the appearance of a person’s lips, lip balm has a number of benefits in addition to aesthetics. A person’s lips have very thin skin. This thin skin helps people to feel and manipulate food and makes the lips pliable to assist with speech. While lips serve a number of functions, the thinness of the skin on the lips makes them very susceptible to drying out. When lips become dried out it is referred to as chapped lips. As putting lotion on a person’s lips is impractical, balms were created that are thicker than lotion and will stay in place on the lips. 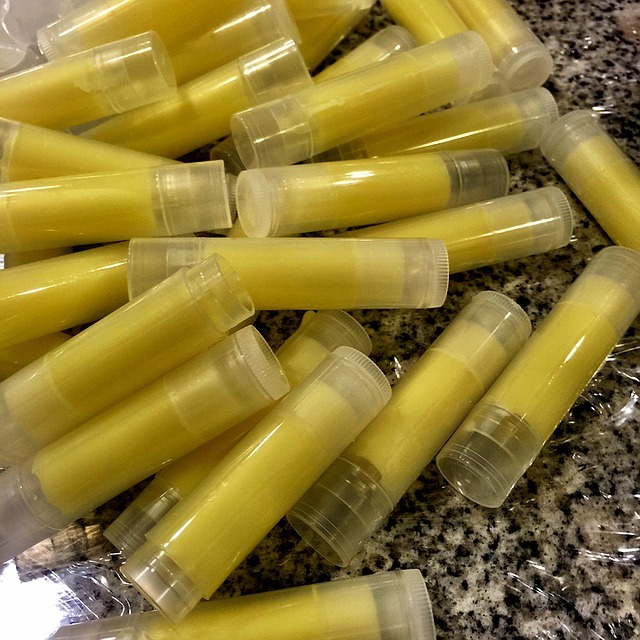 Lip balm works to moisturize dried tissue and protect the area from exposure to wind, cold temperatures and ultraviolet rays, which reduces pain and allows the lip tissue to heal. More than just treating chapped lips, lip balms can protect the lips from damage. This is especially important in extreme conditions such as high and low temperatures, very dry and very sunny climates. Though lip balms are very popular during the winter months, they should be used year around to provide protection to the lips which can be damaged from a number of environmental factors as well as from exposure to foods with sharp edges or high sodium content. Though lip balms can approve the appearance of a person’s lips, the wax prevents the balm from having a shiny appearance such as traditional lipstick. In fact, it is a good idea to apply lip balm around the edges of the lips before applying lipstick. The balm will help to keep the lipstick in place. Lip balm can even be used under lipstick. Many lip balms contain an anesthetic such as camphor or menthol which helps to reduce the pain of chapped lips, cold sores or other injuries. Lip balms with anesthetics may burn slightly when applied to lips with broken skin. Modern lip balms, such as EOS, offer a variety of ingredients such as Vitamin E, which helps to make lips softer and more resistance to damage. Wow!! Very interesting article. Most of the lip balms these days, have SPF in them so it helps my lips from becoming dry and chapped and it also protect me against the harmful rays of the sun as well.